How to leave and what happens when a member leaves the group? 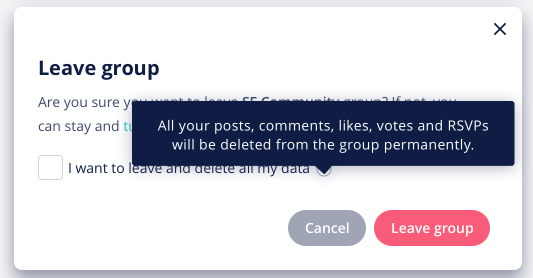 By ticking the checkbox you choose to delete any association with the group and leave no trace of your user in the group (Votes on polls, RSVP’s to events, posts and discussions, comments, private messages or anything else that they have created). What if the member is the the manager of the group? The account owner would become the manager of the group and will receive an in-app notification that the manager has left the group and that they are now the manager of that group. What if the member is the the only manager in the community? 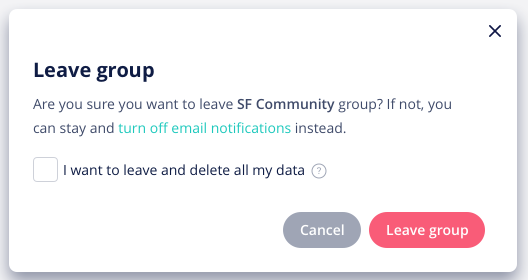 In this case the "leave group" option will not be available. You can transfer ownership of the community to another person and then leave the group. What happens to the member after they left the group? 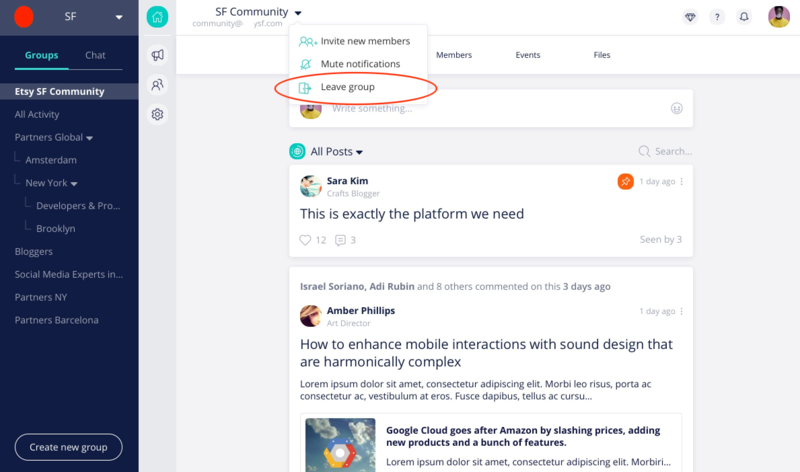 If the member that chose to to leave the group becomes groupless as a result of leaving the group, they will be moved to their account settings page and will no longer have access to the community.